Recorded by the inspirational worship group MercyMe, this new arrangement of their popular song really sings! The song contemplates eternity and what it might possibly be. 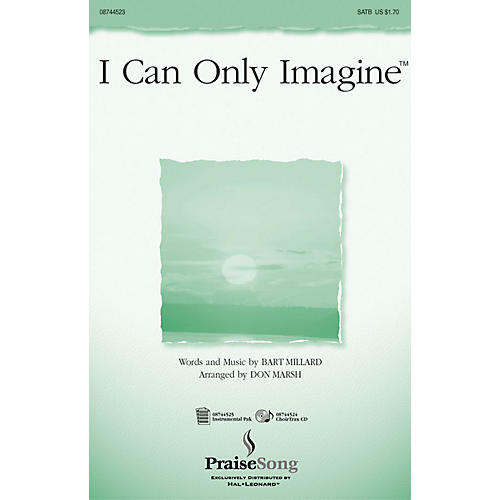 Profound in its simplicity, I Can Only Imagine is soon to become a modern classic.Available separately: SATB, ChoirTrax CD and Full Orchestra.